Usually, when one person hears the word tease, they go back and remember their first high school crush. Remembering how bad she led you on. Now there’s no need to travel back to those petty memories because all we need to define tease is to look up a picture of Floyd Mayweather and Conor McGregor. It seems the blown up and over inflated pay per view boxing match that took place on August 26th, 2017 just wasn’t enough. Seven months after the fight and the only thing that has changed is if Floyd will turn in his boxing gloves in able to walk into the octagon. 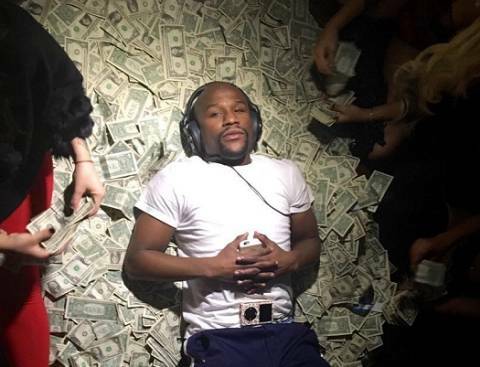 Mayweather has applied for an MMA license, and the word has been buzzing like a hive. Bets are already taking place in Las Vegas with….. You guessed it… McGregor as a heavy favorite to defeat Mayweather. Why these two are still being talked about is beyond me. The boxing match was far from interesting and ever since his fight with Mayweather; McGregor has yet to walk into the octagon to defend any of his belts. 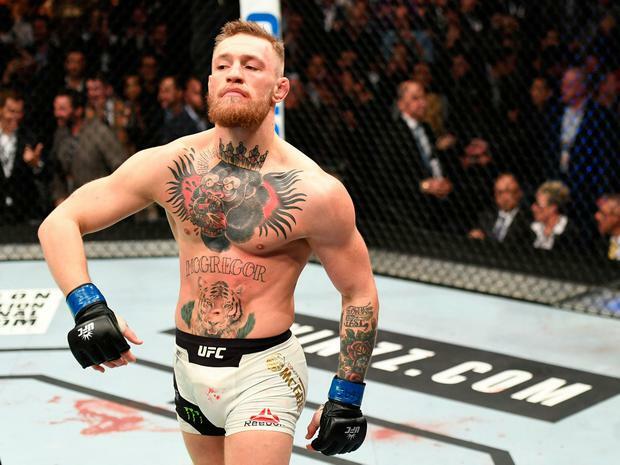 November 12, 2016, was the last time Conor has been seen fighting in the UFC and was also the day that he attained the lightweight title from former champion Eddie Alvarez. After attaining two belts in two different weight classes, the only thing Conor has to show for it is a horrific boxing match that showed how pitiful his endurance was. Oh, and his new Burger King commercial (can’t forget that). Mayweather has helped turn Conor into another spitting image of himself. Dollar signs are all that matters to these men. Yet, there’s something brewing in the background as well. This entire publicity stunt by these two fighters will be dragged out even farther when Mayweather attains his MMA license. After he attains it another 9 months to a year will pass where we will see videos of Floyd training. Rolling around the mats a couple times to help make it look like he could actually do something in a mixed martial arts fight. A couple videos of him kicking a bag really hard to make people go “Wow he might actually be more than a boxer”. 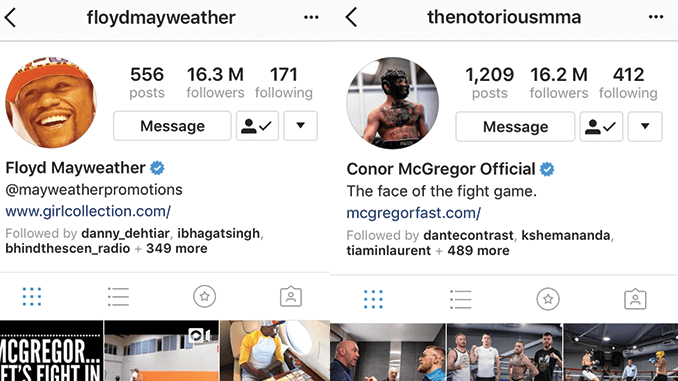 During this time McGregor will ignite another social media bickering war against Floyd. With videos of his smack talking Floyd and telling him how “bad he is going to get destroyed in the ring.” … Photoshopped pictures of a 50-1 record under Floyd will appear to make people anticipate Floyd’s first-ever loss as a professional fighter. All this will happen just to help sell pay-per-views because Floyd stepping into the Octagon will bring a lot more excitement rather then McGregor stepping into the boxing ring. The reason being is that there are a lot more ways to be hurt in MMA rather than boxing. Their first go around wasn’t good for fighting and with another bout possibly in the making… Combat sports could start to be looked at as some sort of scripted drama. Yet this doesn’t matter to either of these fighters… Do you think Floyd really cares if he loses to McGregor in a UFC fight? No….. Will that tarnish his boxing accomplishments? No….. When it comes down to it these fighters will make even more money in this bout then they did the last and that is all that matters to these two. As their love for money has now taken over the interest of the fight game. Causing fans like us having to wait for a champ such as McGregor to even defend his belt once. Which makes it no surprise as to why McGregor has been stripped of his championship belt.